Mr. Loumiet holds a B.S. degree in Mechanical Engineering from the University of Missouri-Kansas City. His expertise includes train and traffic accident reconstruction, vehicle and train braking and dynamics, event data recorder analysis, highway-rail grade crossing safety, highway safety, and 3D laser scanning. 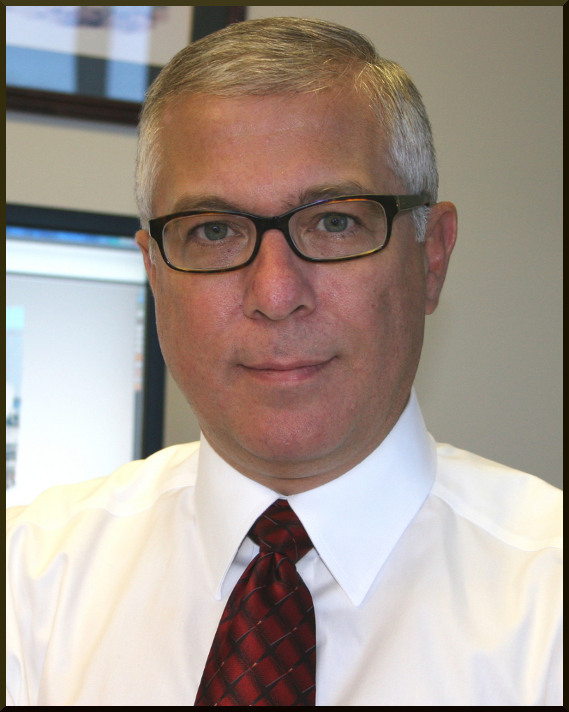 Since 1990, he has consulted on hundreds of railroad and highway accident cases in litigation for both plaintiffs and defendants, and has testified as an expert in Federal, State, and local courts across the U.S.
Mr. Loumiet is currently President of James R. Loumiet & Associates, Inc. and an associate of RailroadExperts.com, an association of railroad safety consultants. Prior to starting his consulting practice at JRLA, Mr. Loumiet was an accident reconstructionist with John C. Glennon, Chartered, where he analyzed and reconstructed collisions involving motor vehicles and trains, and developed accident reconstruction and simulation software. Before joining JCGC, Mr. Loumiet was with Graham-Migletz Enterprises, where he had key responsibilities for the research, analysis, design, and development of highway safety systems and operations. He worked on important federal research projects involving highway work zones, highway barriers and crash cushions, crashworthiness of highway appurtenances, and the reconstruction of highway accidents. He also participated in the revision of Part VI of the Manual on Uniform Traffic Control Devices and some of his work has been incorporated into published AASHTO policies. Mr. Loumiet has also participated in braking and crash tests involving motor vehicles and trains. He has authored numerous technical papers and reports dealing with accident reconstruction, train dynamics, and highway safety, some of which have gained national recognition. Mr. Loumiet received his B.S. degree in Mechanical Engineering in 1988. He has also received specialized training in accident investigation and reconstruction, vehicle dynamics, event data recorders, derailment investigation, train braking systems, railroad signal systems, highway design, laser scanning, and computer simulation of collisions. Mr. Loumiet is a member of the Society of Automotive Engineers, American Society of Mechanical Engineers, ASTM International, National Association of Professional Accident Reconstruction Specialists, Midwest Association of Technical Accident Investigators, National Association of Railroad Safety Consultants and Investigators, and the Air Brake Association. Mr. Loumiet has continued his education through participation in numerous classes, conferences, and workshops covering train and traffic accident reconstruction, event data recorders, laser scanning, derailments, train braking systems, railroad signal systems, highway safety and design, and highway-rail grade crossing safety. President of consulting firm specializing in train and traffic accident reconstruction, highway safety analysis, vehicle event data recorder analysis, 3D laser scanning, and transportation and reconstruction software development. Services include investigation, analysis, consultation, computerized accident reconstruction and simulation, event data recorder download and analysis, laser scanning, expert testimony, report and exhibit preparation, software development, and analysis of other expert reports and analyses. Performed accident reconstruction analyses for motor-vehicle and train collisions. Responsible for research on vehicle and train dynamics, highway safety design, and crashworthiness of highway appurtenances. Also responsible for firm's reconstruction software development projects. Developed the Train Braking Simulator (TBS) a computer program designed for forensic analysis of train collisions. TBS calculates train speeds, braking distances, and braking times for a variety of trains and braking scenarios and compares alternative braking scenarios to test issues of collision avoidance. Project Engineer and Consultant for the National Academy of Sciences, Strategic Highway Research Program project "Maintenance Work Zone Safety Devices Development and Evaluation." Assisted in the fabrication, development, and testing of innovative protective and traffic control devices. Developed computer software to simulate the dynamics of new barrier systems under a variety of impact conditions. Project Engineer responsible for mechanical and structural design on the National Academy of Sciences, Strategic Highway Research Program project "Maintenance Work Zone Safety" aimed at developing innovative devices to protect highway maintenance workers. Led in the development of prototype plans for several innovative safety devices, including barriers, attenuators, and traffic control devices. Led a design team that developed an interface structure that connects truck-mounted attenuators to trucks with rear-mounted salt spreaders. Interviewed manufacturers and construction companies for input on safety needs and concerns. Also responsible for reconstructing fatal work-zone traffic accidents in a nine-state data base covering a five-year period. Consultant to Barrier Systems, Inc. regarding an anchoring system for the Quickchange Movable Barrier. Project involved a review of guidelines, research, and current practice of highway barrier anchoring systems, and a performance analysis of the Movable Barrier System. Produced a report on performance objectives and testing procedures for the Movable Barrier. Project Engineer on the Federal Highway Administration (FHWA) project, "Work Zone Traffic Control Standards and Applications." This project involved the update and revision of Part VI of the Manual on Uniform Traffic Control Devices (MUTCD). The MUTCD is recognized by the Federal Highway Administrator as the National Standard in accordance with Title 23, U.S. Code regarding the design, application, and placement of all signs, signals, and markings on public highways in the U.S. Part VI of the manual involves traffic control devices and applications for street and highway construction, and maintenance, utility, and emergency operations. Conducted a review of State traffic control manuals and assisted in the development of standardized traffic control plans for incorporation into Part VI of the MUTCD. Research Assistant on FHWA research project "Portable Concrete Barrier Connectors." Conducted literature review for information relevant to portable concrete barrier connectors. Performed structural analysis on pin and loop, and tongue and groove connectors. Analyzed vehicle-barrier interaction for 50 crash tests to determine vehicle and connector performance when vehicles impact barriers. Much of Chapter 9 of the American Association of State Highway and Transportation Officials Roadside Design Guide is based directly on this work. Research Assistant on the FHWA project, "Safety Restoration During Snow Removal Guidelines." In this project, snow-related safety hazards were ranked in a priority order, and grouped into categories. In addition, available literature was reviewed, and an analysis of winter accident data was made. Principal programmer of the BLAQ BOXX Automobile Accident Reconstruction Computer, developed for Criterion Press, Inc. The BLAQ BOXX is a 32K BASIC program stored in a Texas Instruments' TI-74 handheld computer used for analysis of motor-vehicle accidents. Developed closed-loop equations to solve for speeds, distances, and times for both single and multi-vehicle collisions. Other duties included leading and participating in proposal preparation for government and private industry clients, and engineering software development, selection and maintenance. Operated and programmed computer-controlled driller/router in the manufacture of printed circuit boards. Contributed to innovations in the production process that saved time and cost, reduced defects, increased tool efficiency, and streamlined the manufacturing process. Wrote and revised manufacturing procedures for the handling and transportation of various components of the Space Shuttle External Tank within the manufacturing plant. Created and revised flowcharts to catalog procedures to move the External Tank during the manufacturing process. Charter Member, Advisory Board Member, National Association of Railroad Safety Consultants and Investigators, 1992-present. Member, Society of Automotive Engineers, 1990-present. Member, American Society of Mechanical Engineers, 1990-present. Member, National Association of Professional Accident Reconstruction Specialists, 1990-present. Member, Midwest Association of Technical Accident Investigators, 1993-present. Member, Air Brake Association, 1990-present. Member, Committee E34-Occupational Health and Safety, Subcommittee E34.45-Occupational Health and Safety in Railroading, ASTM International (American Society for Testing and Materials), 2010-present. Past Member, Committee A10.36-Railroad Safety, American National Standards Institute, 2002. 1. "Mathematical and Computer Modeling of Train Propulsive and Braking Operations", 19th Annual Meeting of National Association of Railroad Safety Consultants and Investigators, Atlanta, GA, May 2010. 2. "Laser Scanning & Virtual Reality for Data Collection and Analysis in Transportation Accident Reconstruction," SPAR 2010 3D Imaging & Positioning Conference, 7th Annual Meeting, Houston, TX, February 2010. 3. “Analysis and Comparison of Locomotive and Cab Car Derailment Potential During Collisions,” 18th Annual Meeting of National Association of Railroad Safety Consultants and Investigators, St. Louis, MO, May 2008. 4. “Accident Reconstruction Using Laser Scanner and Virtual Reality Technologies,” 16th Annual Meeting of National Association of Railroad Safety Consultants and Investigators, St. Louis, MO, May 2006. 5. 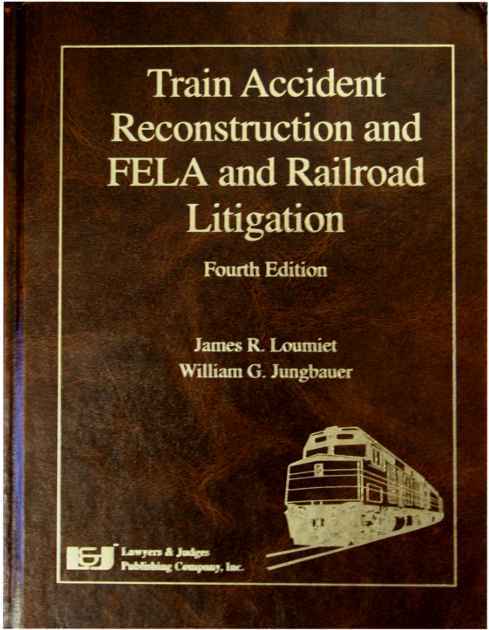 “Railroad Accident Forensics and Investigation by Railroad Litigation Experts,” 16th Annual Convention of The Academy of Rail Labor Attorneys, Washington, D.C., April 2005. 6. “Transportation Event Data Recorders and Crash Data Recorders in Accident Reconstruction,” 13th Annual Meeting of National Association of Railroad Safety Consultants and Investigators, St. Louis, MO, May 2003. 7. Testimony before the Kansas House of Representatives Committee on Transportation, Hearings on House Bill No. 2045 concerning railroad crossings, Session of 2001, Topeka, KS, January, 2001. 8. "Sight Distance Issues at Skewed Grade Crossings," Sixth International Symposium on Railroad-Highway Grade Crossing Research and Safety, Knoxville, TN, October 2000. 9. "The Effects of End-of-Train Braking Devices on Train Dynamics," 8th Annual Meeting of National Association of Railroad Safety Consultants and Investigators, San Antonio, TX, May 1998. 10. ”Net Braking Ratio in Train Braking Performance,” 7th Annual Meeting of National Association of Railroad Safety Consultants and Investigators, Nashville, TN, May 1997. 11. ”Freight Train Slack Action Effects Analysis,” 6th Annual Meeting of National Association of Railroad Safety Consultants and Investigators, Nashville, TN, May 1996. 12. “Train Accident Reconstruction and Investigation,” Michigan Association of Technical Accident Investigators, 1995 Fall Training Conference, East Lansing, MI, October 1995. 13. “How To Analyze a Grade Crossing To Determine If It Is Properly Engineered and Reasonably Safe,” Association of Trial Lawyers of America, New York, NY, July 1995. 14. “Speed Tapes and Event Recorders in Train Accident Investigation,” 4th Annual Meeting of National Association of Railroad Safety Consultants and Investigators, Nashville, TN, May 1994. 15. “Alternative Methods of Train Speed Reconstruction,” 3rd Annual Meeting of National Association of Railroad Safety Consultants and Investigators, Nashville, TN, May 1993. 16. "Low-Cost Safety Improvements at Rail-Highway Crossings," 2nd International Symposium on Railroad-Highway Grade Crossing Research and Safety, Knoxville, TN, December 1992. 17. "Locomotive Speed Reconstruction for Car/Locomotive Crash Test,” Operation Lifesaver, West Des Moines, IA, May 1992. 18. “Accident Reconstruction Fundamentals: A Survey of Reconstruction Methodologies and Software," Kansas State University/Kansas Department of Transportation/Federal Highway Administration, Manhattan, KS, May 1992. 19. "Forensic Analysis of Train Braking in Crossing Collisions," 2nd Annual Meeting of National Association of Railroad Safety Consultants and Investigators, Nashville, TN, May 1992. 20. "Train Braking Dynamics and Analysis," International Association of Accident Reconstruction Specialists, Kansas City, MO, July 1991. 21. "Computerized Accident Reconstruction," International Association of Accident Reconstruction Specialists, Kansas City, MO, July 1991. 22. "Application of Advanced Concepts and Technologies to Maintenance Work Zone Safety," Transportation Research Board, Washington, D.C., January 1990. 23. "Innovative Barriers for Protecting Highway Maintenance Workers," Joint Meeting of the Safety Appurtenances and Work Zone Traffic Control Committees, Transportation Research Board, Evanston, IL, July 1989. 24. "Static Analysis of Portable Concrete Barrier Connectors," Transportation Research Board, Washington, D.C., January 1988. 25. "Present Use of Concrete Barrier Connectors," Transportation Research Board, Washington, D.C., January 1988. 2. “Sight Distance Issues at Skewed Grade Crossings,” Proceedings of the Sixth International Symposium on Railroad-Highway Grade Crossing Research and Safety, October 2000. 5. “How To Analyze a Grade Crossing To Determine If It Is Properly Engineered and Reasonably Safe,” ATLA 1995 Annual Convention Reference Materials, Vol. I, New York, NY, July 1995. 13. “Energy-Momentum Method for Reconstructing Oblique Motor Vehicle Collisions with Unknown Impact Angle," An Accident Reconstruction Trilogy, Criterion Press, Inc., 1990. 14. “Energy-Momentum Method for Reconstructing Head-On Motor-Vehicle Collisions," An Accident Reconstruction Trilogy, Criterion Press, Inc., 1990.